As homeowners, we are constantly seeking out ways to cut back on spending and save a few extra bucks each month. The good news is that it is never too late to start saving. We still have a long winter ahead of us, and chances are, you will be running your furnace consistently for the next few months, which can lead to costly heating bills. However, you can keep your utility bills to a minimum when you improve your furnace’s efficiency. There are numerous things that you can do at home to boost heating efficiency, some of which are free of charge! Improving efficiency is the best way to keep repair costs and utility bills low, which is great for your budget. 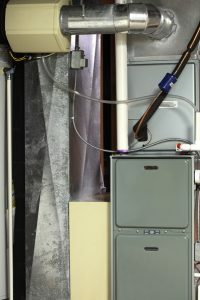 If you wish to learn more about the ways you can boost your furnace efficiency, keep reading below. We have outlined some of the best methods to do so.